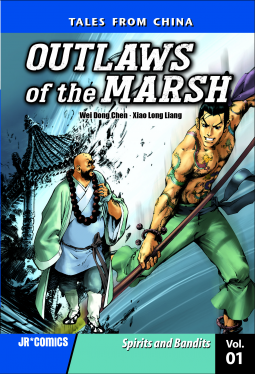 “Outlaws of the Marsh” is a classic story that makes for an interesting series of graphic novels. I enjoyed the art style which is more in line with an older art style. It does a good job of visual telling the story. The rating is lower due to the dialogue. I think the problems lies with the way it was translated. It seems like a literal translation. Some of my favorite translated comics were the old “Mai the Psychic Girl”, “Area 88” and “The Legend of Kamui”. My impression of those titles was that the books were translated and rewritten to get a more natural story flow while still using the meaning of the original language. If this style of translation was used on this book I would have given it a higher rating.